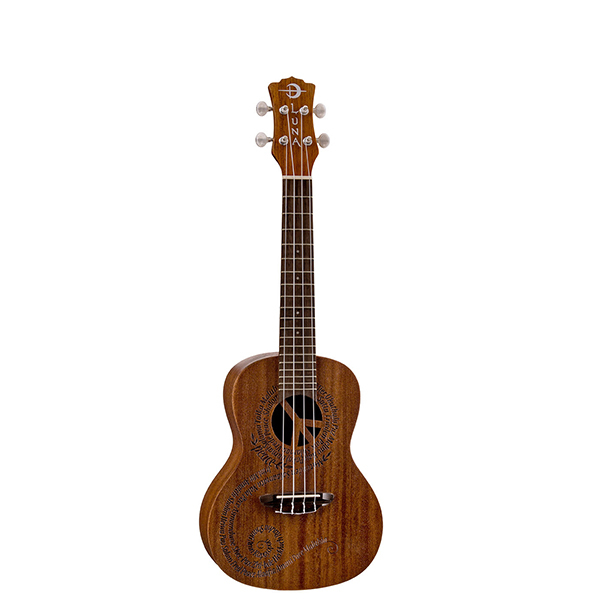 This Tenor ukulele offers a tall message of Maluhia, or best known as peace in Hawaiian, with every strum. 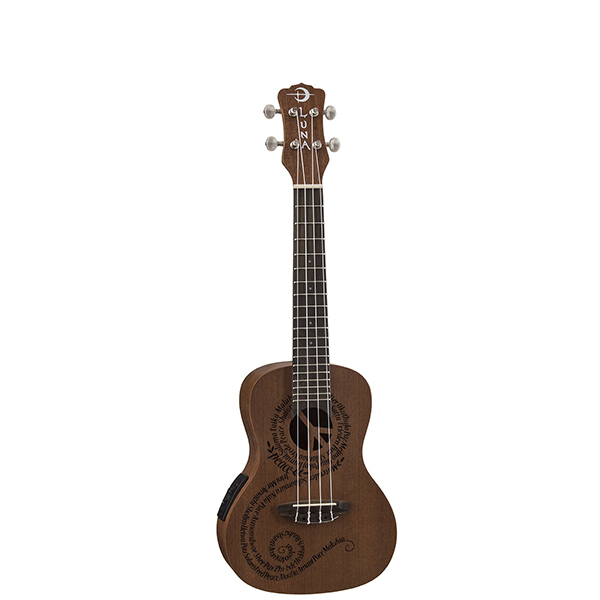 The Peace design on this tenor uke is a very special one for those at Luna as it embodies a philosophy they hold dear. 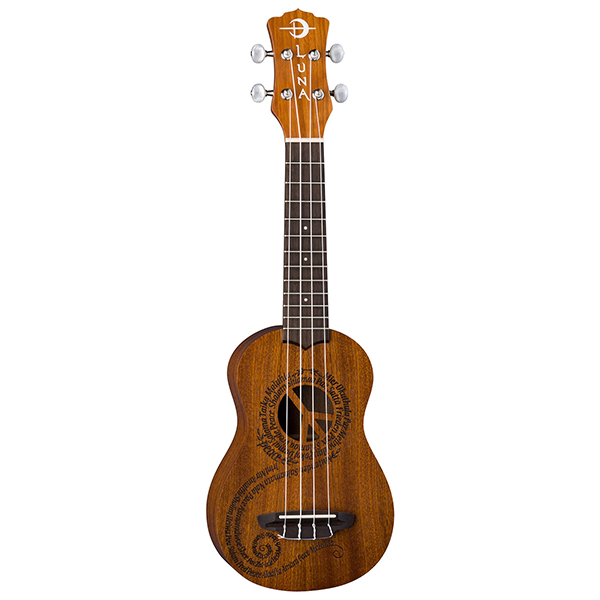 The Maluhia Tenor Ukulele features a laser cut peace sign at the sound hole and the word "peace" in different languages forming a graceful continuum across the sound board. So, go forth and raise smiles through musicthe universal language. One of our most popular ukuleles, this tenor uke is distinguished by all mahogany construction which lends itself to the instrument's astonishingly full tone. Join the Luna Tribe!